I hope my new Building a Vegan Pantry series will make it easy for you to start stocking up your own pantry. Having the right things on hand always makes it easier to make a spur of the moment meal. I’m going to go over the basics you should have on hand in each category, as well as some special treats. 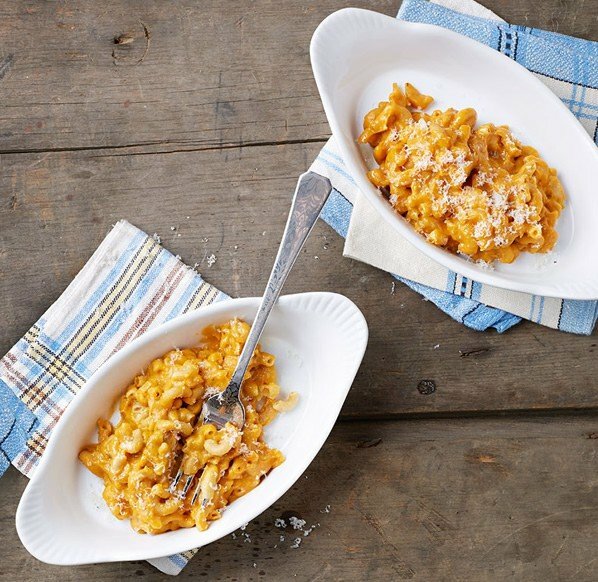 Today, we’re talking pasta. This is just one installment of my building a vegan pantry series. Make sure to take a peek at Kitchen Basics: Building a Vegan Pantry with Pasta, Kitchen Basics: Building a Vegan Pantry with Grains and Kitchen Basics: Building a Vegan Pantry with Dried Beans. In my opinion, every pantry needs to have dried pasta. It’s the ultimate fast food. 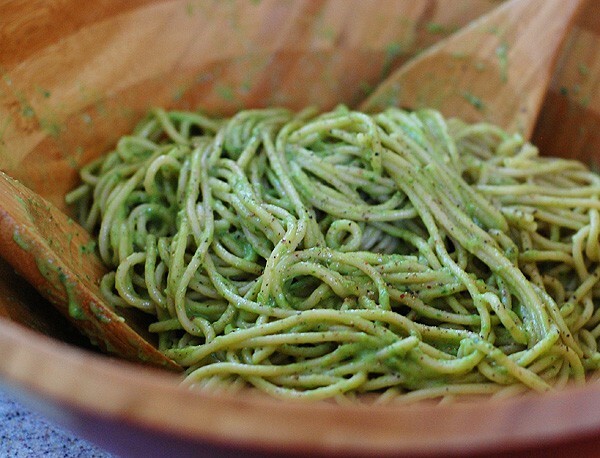 It cooks in about 10 minutes and you can toss it with pesto or red sauce for a quick meal. You can even use up some leftover pasta by tossing it with veggies and salad dressing for a grab and go lunch the next day. 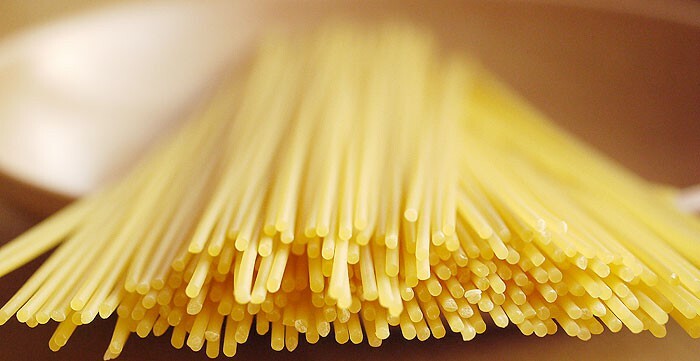 There are so many different varieties of pasta on the market. I like to use whole wheat as much as possible, but if you’re on a gluten-free diet I would recommend buying brown rice or quinoa pasta. Just like in other staples, whole grains have more nutritional value. I also recommend having at least 1 or 2 jars of pre-made vegan tomato sauce on hand for those days that you don’t have the energy to cook. 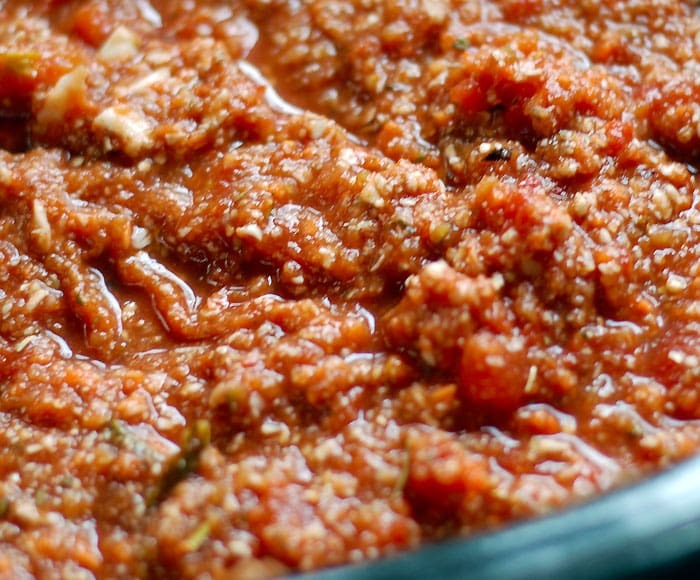 I have links below to a few homemade pasta sauces that you can freeze for later if you like to make everything from scratch. If a member of your family hates whole wheat pasta, try cooking your whole wheat pasta 3 to 5 minutes longer than the package recommends. This breaks down the pasta a little more and the mouthfeel resembles white pasta more this way. I always look at the sales flyers for all my local grocery stores, co-ops and Whole Foods. Once you start paying attention, you’ll be surprised at how often the pasta goes on sale. There is one local store that has a buy-2-get-3-free sale fairly often on pasta and pasta sauce. My rule of thumb is if you see it for 1/2 price or less buy as much your budget (and space) will allow. More whole wheat and gluten-free pasta is showing up in regular groceries, but make sure that’s it really is 100% whole wheat and not a multigrain blend that’s really mostly white flour. You can add in funky shapes, colors or specialty flavored pastas as you see fit. They are nice to have on hand and do make a meal feel a little more special. Fresh pasta is delicious and can be made vegan. However, you need to be aware that most homemade pasta in regular restaurants is made with egg. 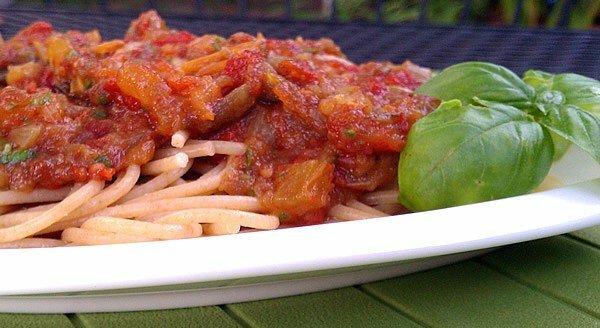 You can find vegan fresh pasta recipes all over the web. I have a gluten-free quinoa flax noodle recipe on HSC that you can use. 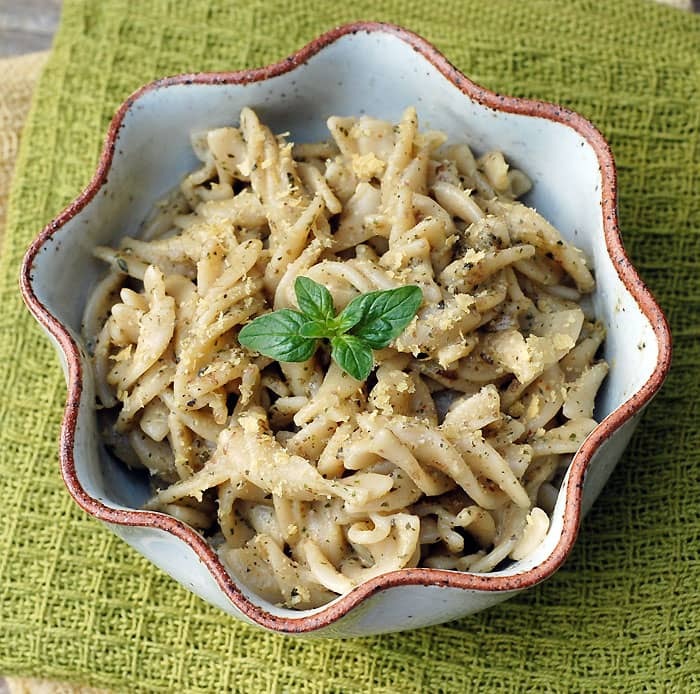 Brown rice pasta has a similar “mouthfeel” to white pasta, and doesn’t get grainy like quinoa pasta or have that sweet-ish taste that I dislike about whole wheat.